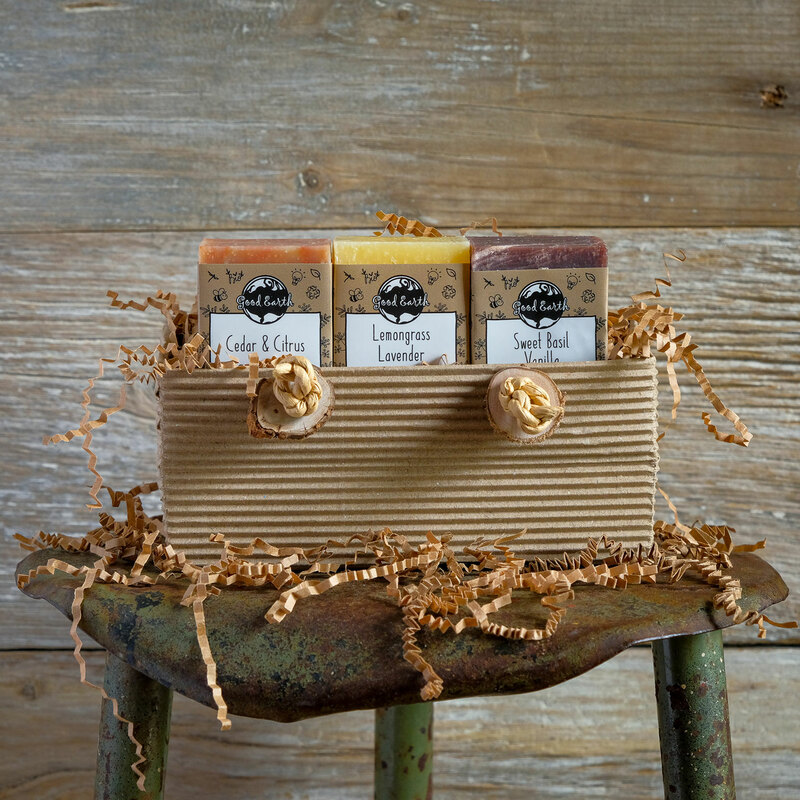 Custom: Pick 3 of your favorite handmade soaps. Earth Essence: Cedar & Citrus, Lavender Patchouli and Spicy Chai. Happy Hippie: Patchouli, Rosemary Mint Hemp and Sandalwood. Heal-All: Lavender, Rosemary Mint Hemp and Tea Tree Oatmeal. Simply Citrus: Grapefruit Lime, Lemongrass Lavender and Lemon Verbena Patchouli. Utilitarian: Gardeners, Kitchen Kleen and Tea Tree Oatmeal.